Of course lift tickets are expensive too. A weekend or holiday pass at a big mountain can run you close to a hundred bucks per person. This is another area where a little research pays off. Most mountains offer discounts if you buy multiple lift tickets at once or purchase them in advance. The smaller mountains closer to metro areas are often less expensive. Look for discounts in the coupon books that schools sell as fundraisers. You’ll often find buy-one-get-one offers from the small and medium sized hills in NY. At Plattekill, kids seven and under ski free. If buying discounted tickets in the fall is too much advance big a commitment for you, modern technology has provided us with another answer: Liftopia.com. This website offers deep discounts on lift tickets. If you want them really, really cheap, you need to plan a week or two in advance and commit to a specific date but we’re talking about half price tickets in many cases. Last year I got full day tickets at some awesome mountains for as little as $24. Some of the deals are mind blowing. Finally, if you have kids in 3rd of 4th grade, look into ISkiNY.com. These guys are in business to promote skiing in New York. 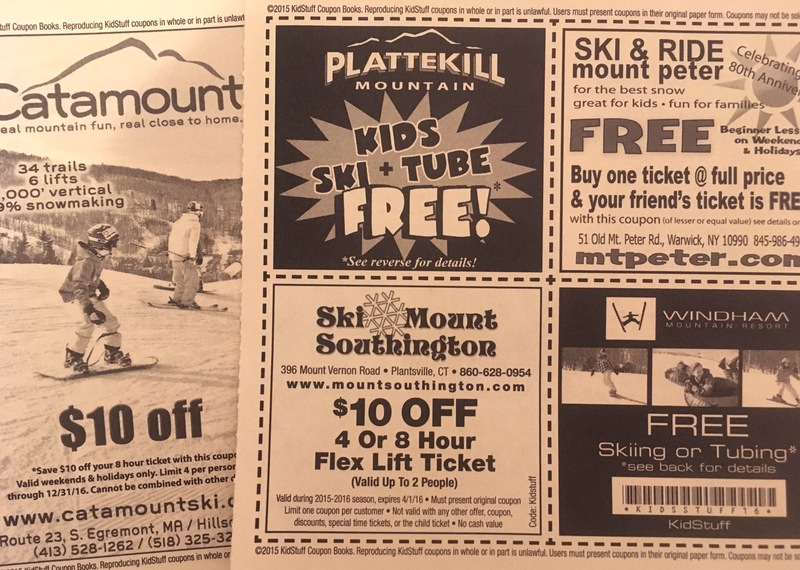 One of the things they offer is a pass for 3rd and 4th graders that allows them to ski free at most NYS resorts all winter long. There is a nominal fee but it’s less then what you’ll pay for a single day at the ticket window. If you have a 5th grader and plan on skiing in Vermont, check out Skivermont.com for a similar passport program for Vermont mountains. If you have kids the right age, these are no-brainers. Good luck! 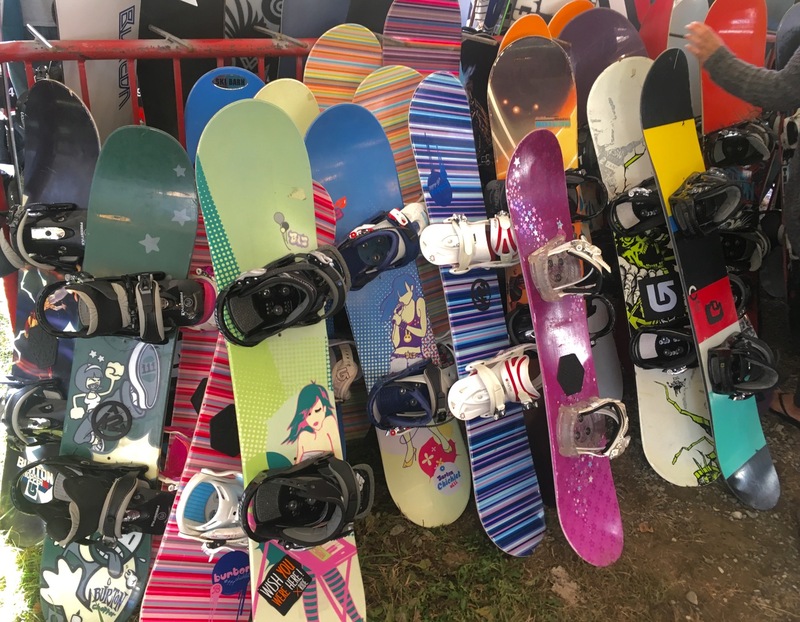 There are many youth sports commissions around the WF area that offer a low cost program of skiing on Sunday afternoons that includes lessons and lifts. Rentals are provided from the youth commission which recycles old gear for the kids. Last I heard it was around $75 for the season and runs January thru March on non holiday Sundays. Beware of ski swaps. They can take advantage of beginners by selling them equipment that is not right for them, or is not economical to repair. If you know what type of gear you’re looking for, you can definitely save a lot of money, but do your research and make sure you’re not buying anything that’s either complete garbage, or not suited to the skier. I worked at a local ski shop last fall, and I saw a lot of equipment come in from ski swaps. Many people saw brought in equipment that was not right for them, and I even saw one person bring in two boots in one pair that were different sizes. 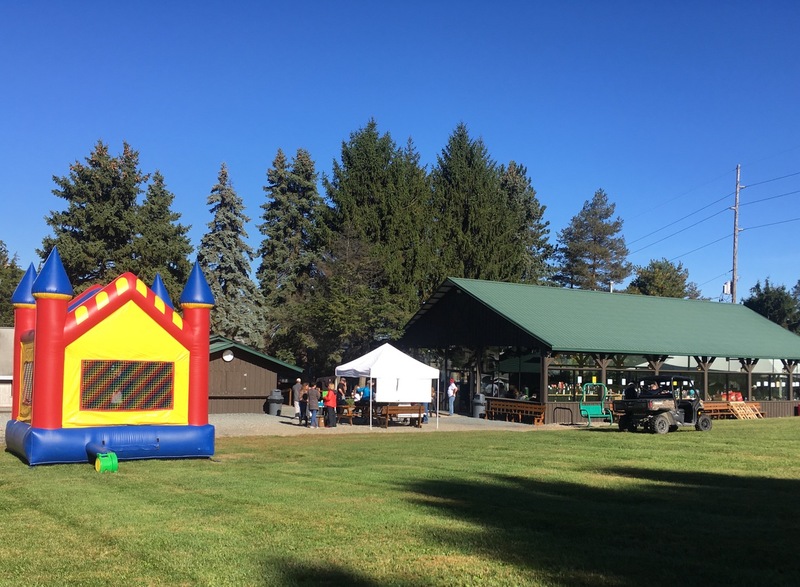 There were times that it cost so much to repair the used equipment that came in from the ski swap that they could have done a seasonal rental of better quality equipment that was better suited to the customer. This is why we spend our season at PICO and get the Family Mad Card. The amount to ski with a family of 4 can be up there and with PICO and the Mad Card, we get plenty of ski days…. And it saves on the Wallet. I think ski resorts should offer lift pass discounts to season pass holders of other mountains. Entice me and my family to come to your mountain for a day or weekend by showing our passes for our home mountain, and getting 25% discount. It would help grow the sport, raise revenue, and increase satisfaction. The ISkiNY program is good for three tickets at each mountain in NY as long as an adult is paying as well. are when they are purchased in the summer. – Working Advantage (most unions offer access to this) offers very good discounts at many mountains. Around the big weekends, they have been known to drop the fees. I got some great pricing on tickets at Bromley this past year. – Not sure of other Costco’s, but the Costco in Nanuet has been selling tickets to Hunter ($99 for two) and Windham ($60 for one) for years. There are no blackout dates. They do sell triple packs for Killington as well. Thanks for all the tips guys. I was hoping this piece would generate some additional ideas. Keep ’em coming. get paid to ski, and cliniced to get better for free plus you will get a family pass and if you join PSIA access to equipment discounts. When I was in my 20’s it was the only way I could afford to ski a lot and it became a way of life. 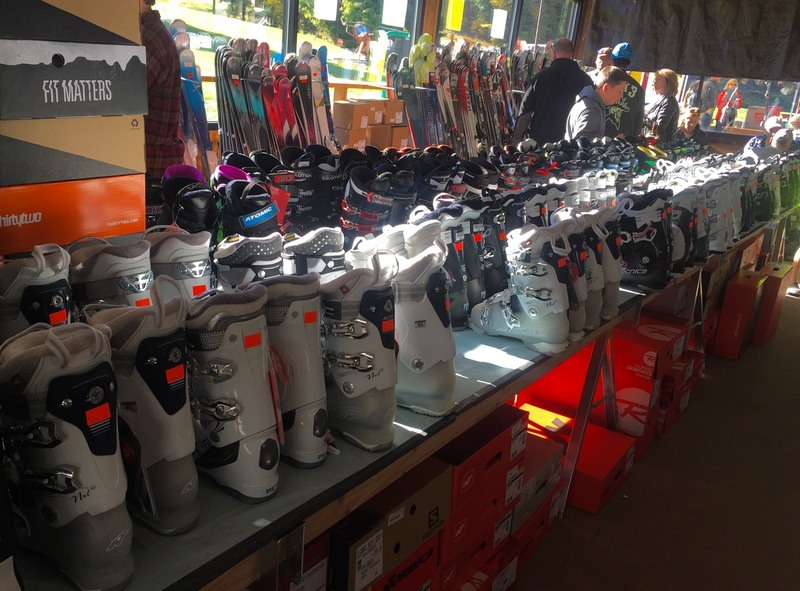 Potter Brothers ski shops offered a $89.95 seasonal rental deal this year. It’s the best for kids. It includes 1- 50% junior w/adult purchase at Catamount,discounts to Pico and Killington,BOGO at Holiday Mtn,BOGO at Thunder Ridge,1 free Jr. ticket at Windham (! ), 1 50% coupon for a Jr. ticket at Hunter. 1 free Jr. ticket to Plattekill (! ), $10 off at Belleayre, 1 free Jr. with an adult ticket at Bromley, and 1 BOGO at Jiminy Peak. I was going to buy new skis for my son but decided to rent this year with that deal. They normally charge $129 for their rental deal but lowered it this year after last year’s disaster of a season. I hope everyone went to the Warren Miller ski movie this month and got your tickets to Windham, Gore, Sugarbush etc… Keep hunting for those deals!